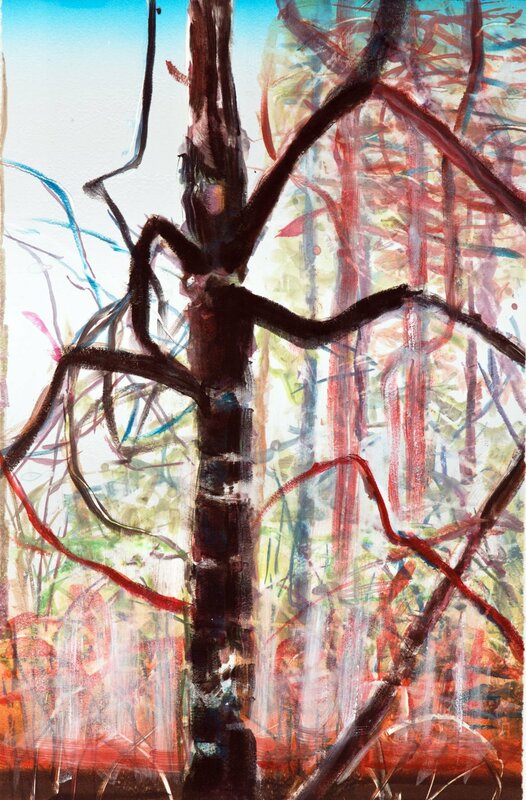 ‘Woods 1,’ a painting by Laura Ross Paul, part of Clatsop Community College’s ‘Forest Visions’ art exhibit. ‘Hinge Diptych,’ by Lee Imogen, part of Clatsop Community College’s ‘Forest Visions’ art exhibit. ASTORIA — “Forest Visions,” a contemporary art exhibit, will be on display from Monday, April 1, through Thursday, May 9, at Clatsop Community College’s Royal Nebeker Art Gallery, 1799 Lexington Ave.
A community reception will be held at 6 p.m. Thursday, April 11. Curator Bonnie Laing-Malcolmson has assembled a stellar cast of Northwest artists for the exhibit, including Astoria photographer Robert Adams, as well as painters Kim Osgood, Laura Ross-Paul, Michael Brophy, Rita Robillard and sculptor Lee Imonen. The exhibit and related events intend to open the lens to the many stories born of our relationship to forests. Events include a visit from Oregon Poet Laureate Kim Stafford, who will be in Astoria for a series of happenings Monday and Tuesday, April 22 and 23, that include poetry readings, performance art, ceremony, engagement with students and political leaders, and conversation with Adams. “Forest Visions” is funded by donations from the Clatsop County Cultural Coalition, Oregon Cultural Trust, Clatsop Community College Foundation and The Ford Family Foundation.